Tourism has been a part of the Atherton Tablelands economy for a long time. This is due to the region’s scenic mountains, rainforest, lakes and waterfalls, its natural, geological and mining history, uniquely combined with outback landscapes to the west. The potential of our region centres on its attraction in other Queensland markets, its proximity to Cairns with its 2.2 million visitors, and the range of scenic attractions quite different to the coastal strip. The visitor economy is much broader than ‘Tourism and Events’. It includes a wide range of businesses that benefit from the direct and indirect economic activity generated to provide goods and services to overnight and day visitors. Petrol stations, restaurants, cafes, newsagents, shopping centres, retail outlets – all benefit from visitor expenditure generated to support the local economy. 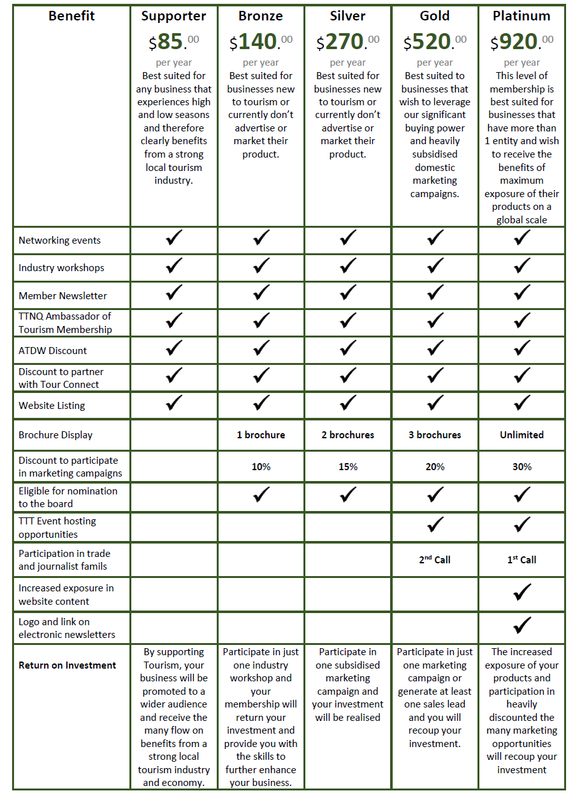 Why join Tropical Tablelands Tourism? There is not a business, professional service or commercial operation within our region that does not ultimately receive some benefit contributed to the local economy by tourism. It is in the interest of all those who benefit from tourism to participate in and contribute to effective promotion of the region and the planned management of its marketing activities. To assist in the establishment and development of Tourism products and facilities within the immediate region. Successful tourism requires positive attitudes and contributions from several groups. With more than 180 members from various industry sectors we can work collaboratively and share the collective rewards of a successful and sustainable tourism industry. How can membership benefit your business? Enjoy the economic benefits from a strong tourism industry. Have access to marketing and business development tools. 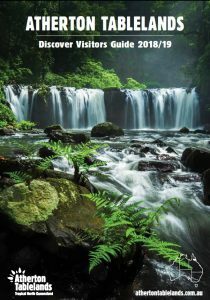 Be involved in special projects, policy and the strategic direction of the Atherton Tablelands tourism industry. Have the power to influence decisions that are made in the tourism industry which directly impacts your business. Operators who wish to pay by invoice, please submit the APPLY by INVOICE form to by-pass the credit card option.